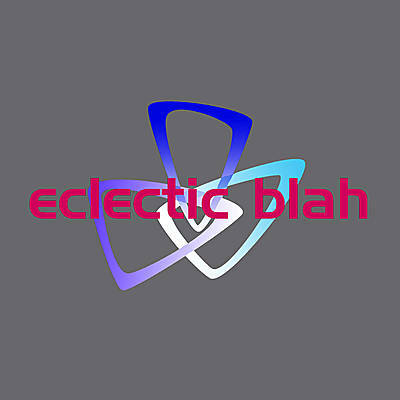 Eclectic Blah was, during its existence by the beginning of the millenium, about two things: the music must be radically freely improvised, and it must be danceable. 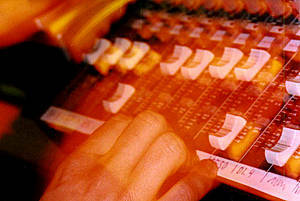 Most of the sessions and concerts were recorded, and starting in 2002, recording a concert meant digital multi-track. The album is a collection of the well-recorded, and, to a degree, more "accessible" tracks. This also means contrary to prejudice about radically improvised material (or "jam bands" in general), the tracks are short by comparison, with the shortest one, Harvey Wallbanger, clocking in at just over the magic airplay-compatible 3:30. The ten tracks are taken from a total of six different concerts, featuring eight different lineups - and, as was the case with Eclectic Blah, a different vibe on almost every track. Starting off with Spheres, you have a track which, essentially, consists, of a two-note theme, a two-note bass line, and a four-note guitar arpeggio, so nothing happens, but it happens in a challenging, acid-jazzy way. The tracks from sansserif have an almost steriel aesthetic in a positive way, and Horst's New Condominium also contains the most "heavy" passage of the album during Luke's soaring guitar solo. There's Eclectic Blah's first ever blues track (more than three years into existence) with In Deep Water, featuring Wolfi Schlickhorn's tenor sax madness, and surf-rock vibes in Solid State. The band took it way back to 70s prog rock on the two tracks from The Last Days of Veedolkeller, including the audience screaming "Carlos!" at the start of Jan's guitar solo on Dreams of Hesse for a reason. The two tracks from Fractal Dimension then take it into lounge jazz territory with a hint of jungle, bringing out the very intuitive understanding of the four-piece of Gruber, Kühner, Straschill and Würdinger. 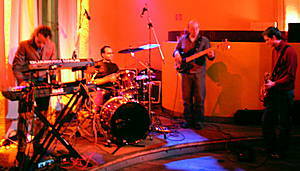 The album closes as Eclectic Blah had - with a track from the group's last production Reverse Engineering, where Luke Cyrus Götze adds intricate guitar work on top of a realtime remix of past concert recordings. 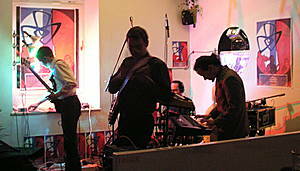 An Eclectic Blah album had been considered from very early on in the group's actual history. Yet, production of the album started for good in December 2013. Choice of tracks, editing and mixing continued until January 2014, with the final touchup of booklet and mastering (by Thomas DiMuzio) extending through most of February 2014. This production has been well-documentet in both micro- and macro-blogging format. So any background info on the production process, as well as on the music, can be found under the #eclecticblah tag either on the moinsound blog or on twitter. Download includes a nifty 18-page booklet, and lossless versions (FLAC) are in full 24-bit audiophile glory! "A very worthwhile effort indeed." "an amazing progressive fusion album by the band from Munich; skilled musicians, great guitars & keys solos, a solid rhythm section. favourite track: The Porcupine". Anna Bejenke (photography), Thomas DiMuzio (mastering), Martin Fischer (logo design), Luke Cyrus Götze (electric guitar), Ralf Gruber (drums), Maria Hazod (photography), Christian Klos (electric bass guitar), Jan Kühner (electric guitar), Erik Müller (acoustic guitar), Wolfi Schlickhorn (saxophone), Rainer Straschill (synthesizers, komische Elektronik), Jack Traherne (electric bass guitar), Franz Wechtenbruch (drums), Jörg Weger (electric guitar), Thomas Würdinger (electric bass guitar). Produced and edited by Rainer Straschill.